Designed to bring major North County Inc. partners a unique opportunity to interact with top ranking executives who desire peer-to-peer networking, building relationships with other top ranking executives and connecting to the inner workings of the North St. Louis County community. 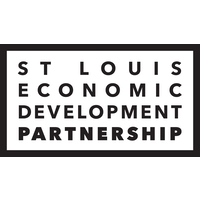 As a partner in the President’s Round Table, you have the opportunity to participate in initiatives with other local business and community leaders that make a positive impact in North St. Louis County. Exclusive membership in the President’s Round Table is available to Premium and Platinum members of North County Inc. The President’s Round Table believes in North County Inc.’s advocacy for a strong economy with a sustainable business environment, competitive educational system, access to quality health care and flourishing neighbor- hoods. As a partner, your financial contributions, committee volunteerism, leadership and advocacy support are all integral to the success of North St. Louis County and North County Inc.